The bath towels measure 70cm x 130cm. 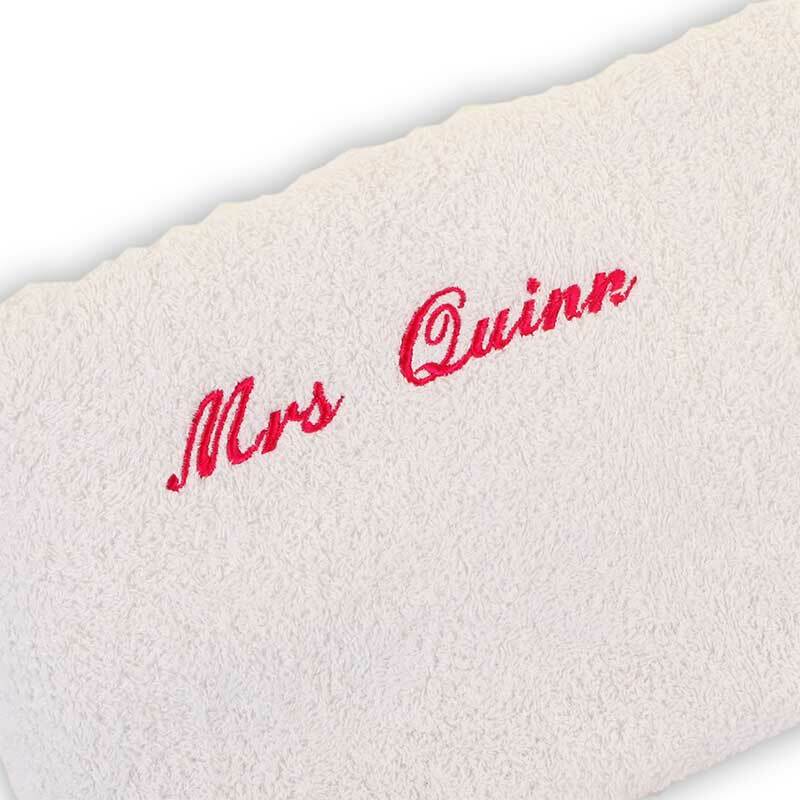 Luxury white 450gsm Hand Towel with rich vibrant stitching. 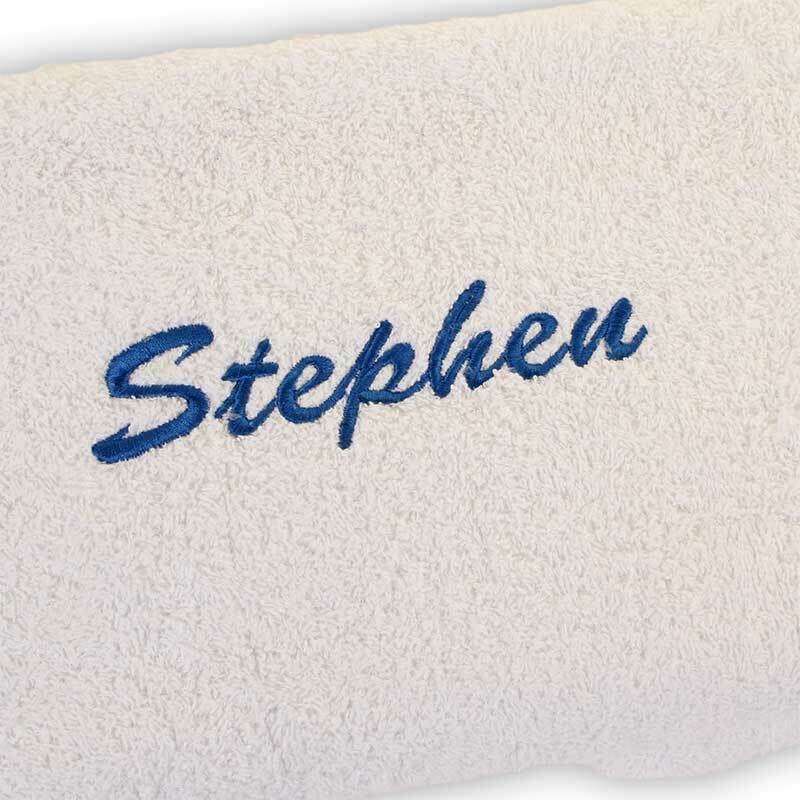 Personalised with any name of your choosing. A great gift for any home or any occasion. 80/20 cotton rich. Incredibly soft to touch and quick drying. Choice of thread colours - Gold, Blue, Red, or Pink. Large size 50cm x 90cm (20" x 35"). 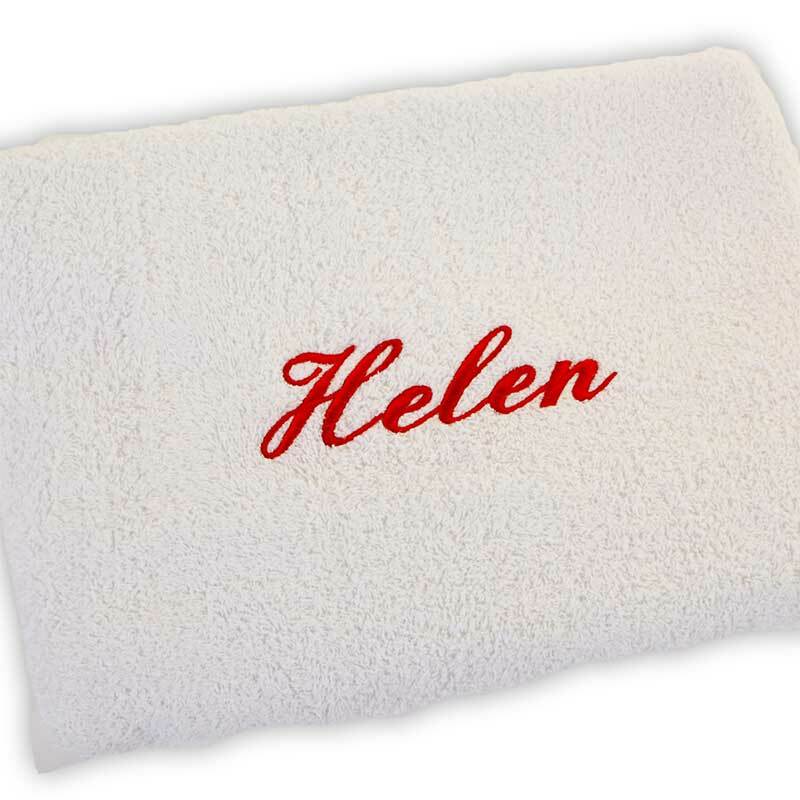 Add additional towels with the same personalisation and save!